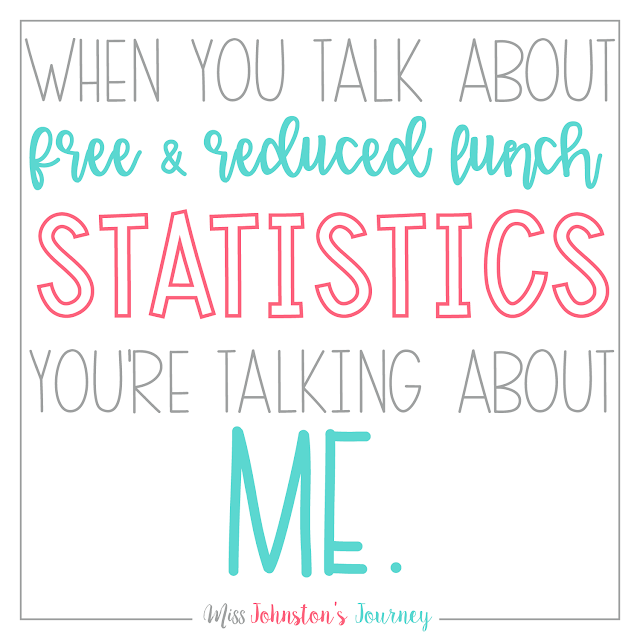 When you talk about free and reduced lunch statistics, you're talking about me. I was a student that was part of the free and reduced lunch program 2nd-12th grade. My parents divorced when I was 7, and my mom, brother, and I moved in with my grandmother. 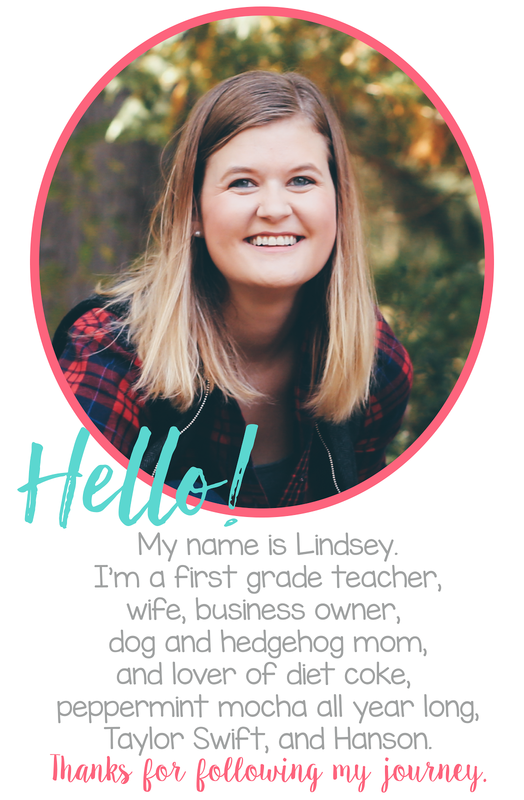 My mom went from being a stay-at-home Army wife, to a single working mom. We lived with my grandma for a short time, before we got our own apartment. I lived in that apartment from 3rd grade until the summer before my senior year of high school. Growing up, I didn't have any friends who lived in apartments. It was a dream of mine to have a house like my friends. I lived in a very safe neighborhood. My apartment building was surrounded by big, beautiful, historic homes. If I told you my address without the apartment number, you'd think I lived in a really big house. Sometimes I did do that. I didn't know it at the time, but I was embarrassed. Just because I didn't know anyone else who lived in an apartment. To clarify, I was never hungry. My mom worked extremely hard, and always put my brother and I before herself. There's a good chance she's reading this. Mom, I never knew how much you sacrificed for yourself until I got older. Thank you for always making Landon and I your priority. I wore name brand clothes. I was always clean. In fact, if you saw me as a kid, you wouldn't know that I was on free and reduced lunch. Most of my teachers probably didn't even know because my mom packed me a lunch every day in elementary school, and 98% of middle school. Probably because I was (still am) a picky eater. a summer school of sorts that you only got to go to if you were part of the TAG (talented and gifted) or VAPA (Visual and Performing Arts) programs. There were fees involved. I remember seeing the reduced rate for students that were part of the free and reduced lunch program. I honestly didn't know what that really meant, but I know that my mom circled it, and for some reason, I felt some kind of shame with that. Here I sit, typing this post on my own computer, glancing down at my iPhone, my graduation cap from my Masters hanging up behind me. It's all a little surreal when you think about it. My mom always put an emphasis on school, good grades, and college. There was never any doubt in my mind that I wouldn't go to to college. But what if I didn't have a supportive mom that pushed me and believed in me more than I believed in myself? Who would I have had? The answer...my teachers. 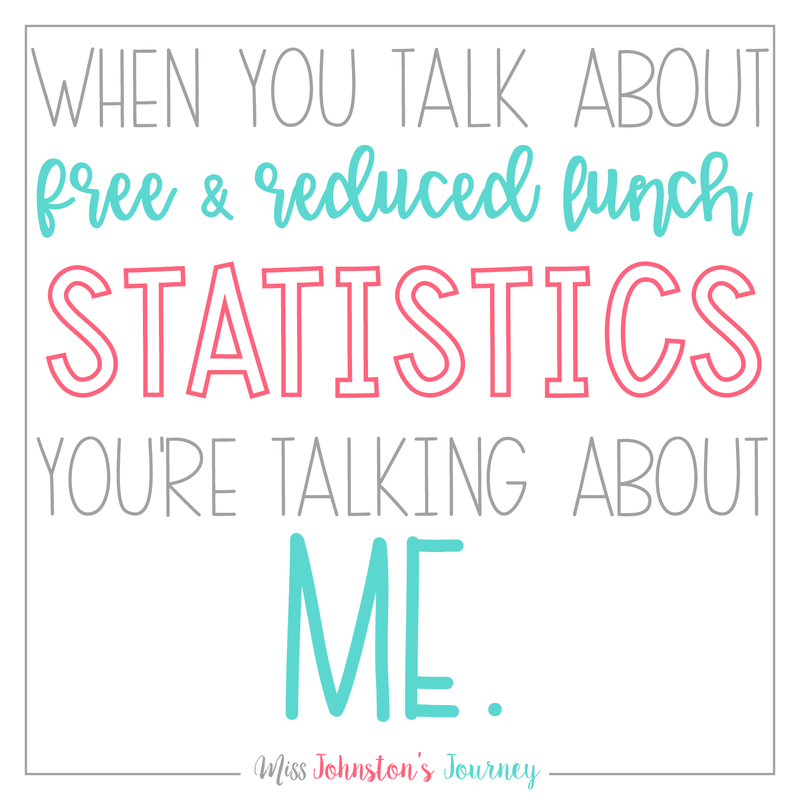 Maybe they did know I was part of the free and reduced lunch program, maybe they didn't, but I never felt like they did. They didn't use it as an excuse as to why they couldn't teach me. Why I couldn't learn. Why I didn't have good grades. Why I didn't speak properly. Why I didn't have clean clothes. Why I couldn't buy books at the book fair. Why I didn't have a Halloween costume. Why I was the only kid in class without Valentine's. Why I didn't give them a gift at the holidays. Why I didn't come to family nights. Why I didn't share about my summer vacation, because I didn't go anywhere. They just taught me. They just believed in me. They just loved me. I say all of this, because I'm now a teacher at the same elementary school I attended with a high percentage of students on free and reduced lunch, and I hear some of these excuses. I can't help but to think about if my participation of that program had my teachers ever questioning me as a learner. Often times we use words like poverty, Title 1, and free and reduced lunch to give excuses for our students. Why? Why can't we just teach them. Believe in them. Love them. For who they are...not give circumstances out of their control as an excuse. It is hard. I'm guilty of it, too. But I was one of those kids, and I wouldn't have wanted my teachers making excuses for me. This post really brought tears to my eyes because I totally relate. I was also a free lunch kid whose mom always put education first. She always put education first because she herself was not allowed to go to school. She grew up in another country and only achieved a fifth grade education. She made sure my sister and I got an education and never had excuses for us. We are now both teachers in a Title 1 school with a 100% free lunch program. I'm amazed at all the excuses I hear from parents. But as a teacher I never make excuses for the kids because they're poor, or because their parents are uneducated. 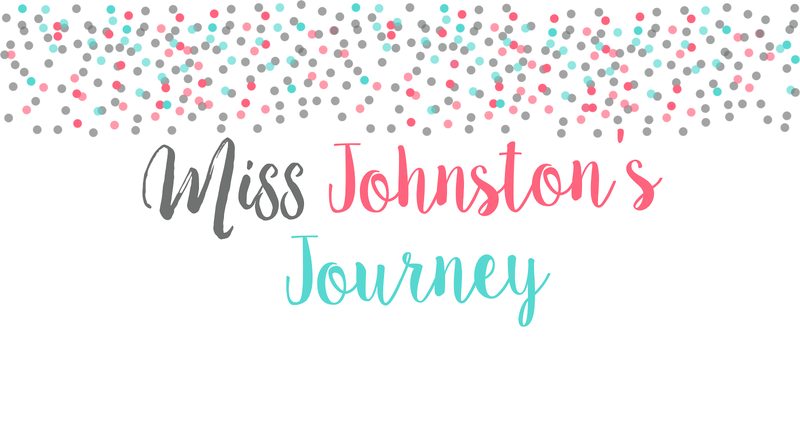 Thanks for the beautifully written post!